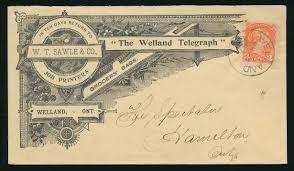 Welland Deutscher Telegraph was a German language newspaper published in Niagara Peninsula, Welland, Ontario. The first edition of this weekly newspaper appeared in March 1885. The content of Welland Deutscher Telegraph was merely a translation of the weekly edition of the English Welland Telegraph at that time. The newspaper was a local attempt to provide a German newspaper for the German-speaking residents of the Niagara Peninsula. The newspaper attracted some notice of German contemporaries when it first appeared. However, due to a lack of support, the newspaper ceased publication in June 1886.